This 2 storey house has over 3300 SF. It has everything your family needs. Master bedroom with vaulted ceilings, ensuite with double sinks, separate shower, deep tub & huge walk in closet. Fantastic kitchen includes tons of storage, walk in pantry, island and stainless steel appliances with double wall oven. 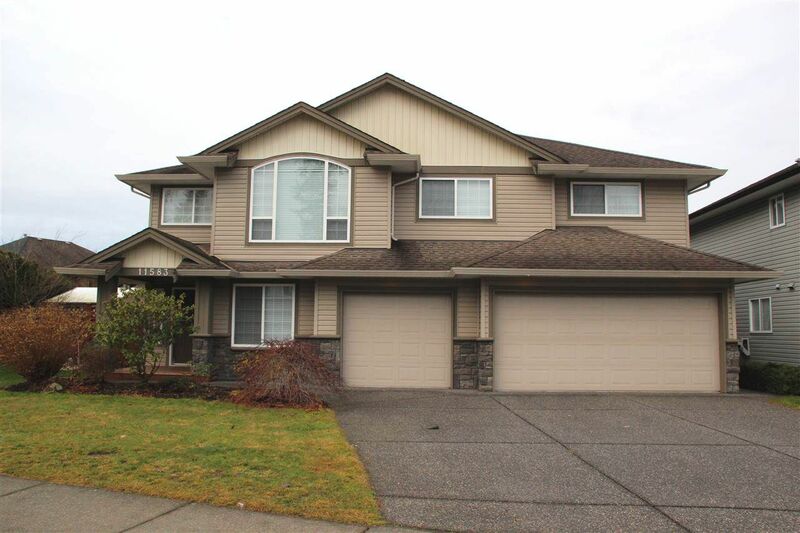 Opens up to large family room and eating area flowing in to formal dining room & living area. A massive recreation space that is already sound barrier insulated which opens up to backyard. 3 bedrooms up, 2 bedrooms & den down. Possible suite potential or inlaw suite. Gorgeous fully fenced private backyard and shed for storage. Outdoor areas include deck, patios, hot tub, balcony & side yard garden. Triple car garage.